Smooth up-conversion of SD signals from Bravia Engine 3. Even picture presentation overall. Sometimes dark shadow detail is a bit lacking in the KDL40EX640 as the screen filter on this TV causes a hazy appearance with some programming on the screen. One remedy to this problem is turning up the Brightness setting some. This will cause better definition in dark areas, but a less penetrating black level and contrast. The 40EX640 includes the very oh, so average and mediocre Sony Entertainment network. See our full review of it here. The Menu system is easy enough to use, though the design is not the most user friendly on the market. 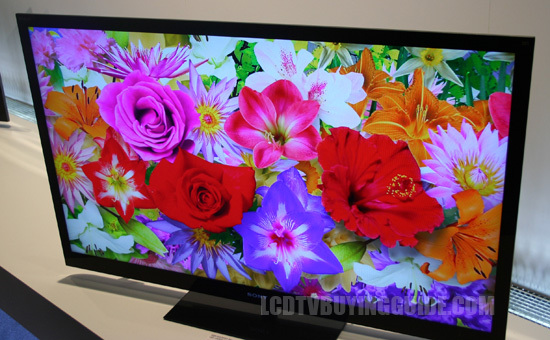 $900 seems expensive for a mid-grade 40 inch LED-LCD TV does it not? Anyway, that is not only the going price for this TV it is as well for the competition which is the Samsung UN40EH6000, and the Toshiba 40L5200U.